Royal insiders have called Kate Middleton, with her grace and sporty elegance, “a natural” as Prince William’s wife. The captivating brunette may not come from royalty, but she does have good breeding – her parents are self-made millionaires and she attended the prestigious and pricey private boarding school Marlborough College. 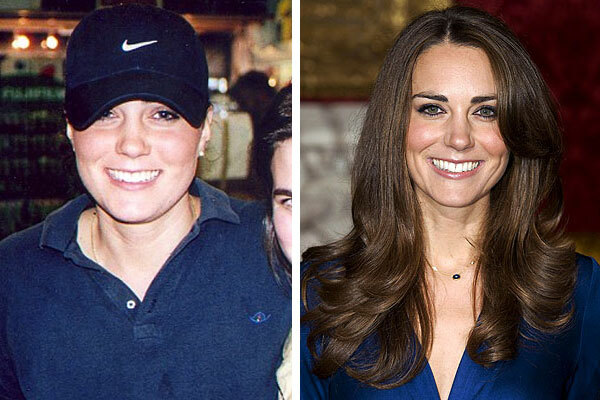 After excelling at field hockey and cross-country running, Middleton studied art history at University of St. Andrews in Scotland, where she took William off the market in 2002. After an eight-year fairy tale romance, William proposed to Middleton with his late mother Princess Diana’s engagement ring. On April 29, 2011, the couple married in a fairy tale ceremony at London’s Westminster Abbey, ennobling the commoner as the Duchess of Cambridge. 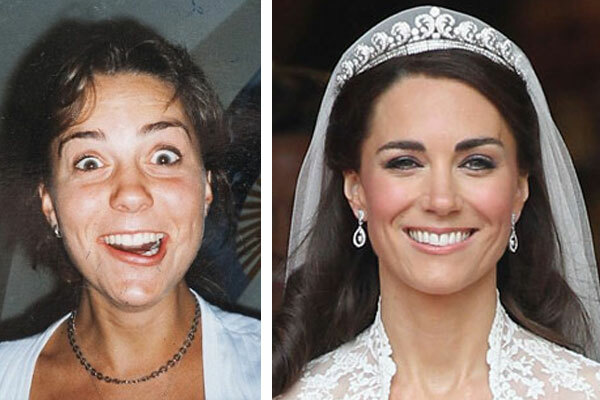 Before Kate Middleton became Catherine Middleton the Duchess of Cambridge Princess Extraordinaire, she was just your typical girl next door type. Fast forward a decade or so, and she is all smiles, poised, and composed as she poses for pictures and waves to us common folk. But what does it take to fill Kate Middleton’s pumps these days? It looks like Kate has dropped quite a few lbs, enlisted a stylist for hair makeup and clothes, and quite possibly even undergone a few “cosmetic enhancements” in the nose department. 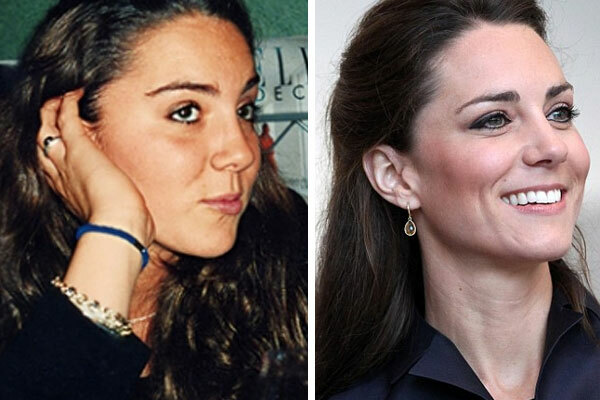 Check out the following before and after pictures of Kate Middleton before she underwent her princess transformation. 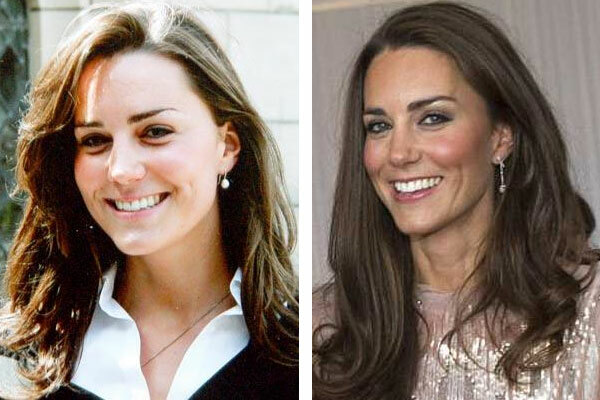 Tell us, do you think Kate has made some tweaks to her nose?